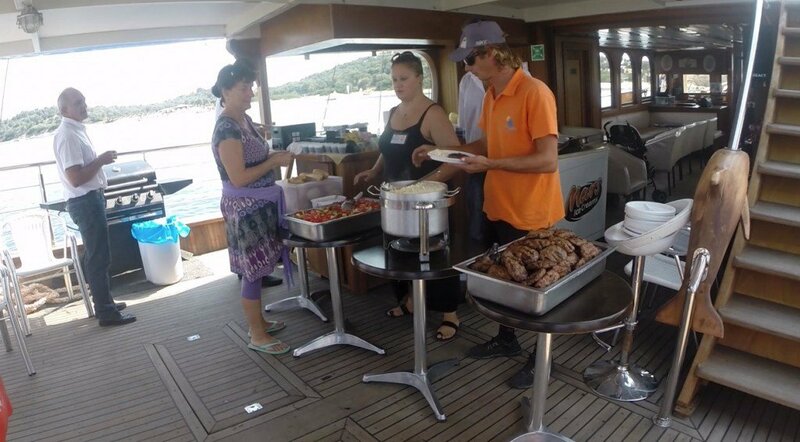 During the swim stop, you can indulge yourselves in the buffet meal. Our professional catering service guarantees you a freshy made delicious buffet. Drinks of your choice are available for the duration of the cruise served by qualified and professional bartender.